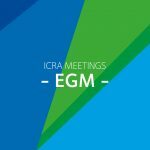 Further to the announcement of an ICRA EGM* a proposed Interim Constitution can be found here for review. The objective of this Interim Constitution is to allow the membership the greatest freedom to elect an Executive Committee while ensuring that the views of each region are represented.The immediate task for this Exec will be to carry out a review of the objectives and governance of the association to ensure that it remains relevant to the membership. The resulting 5 year plan and constitution will be bought back to the membership for adoption. The substantive changes to the current constitution can be found in section 6 and 8. A vote to adopt this interim constitution and elect members to the Executive will be held at an EGM to take place Wednesday the 21st March 2018 in the Maldron Hotel, Portlaoise at 7.30pm. *In keeping with the current constitution language the EGM is effectively an “Extraordinary Annual Conference”.